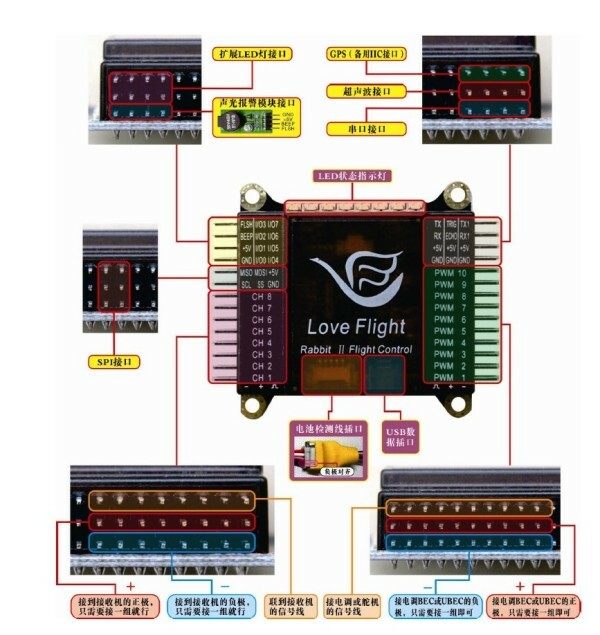 The flight control board adopts 3 two A R M processor, as well as the existing new sensors, self-developed software, set interface friendly, simple flight stability, safe and reliable. 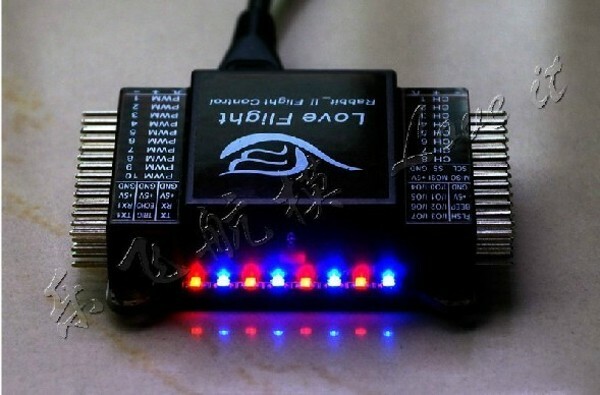 If you don't want to, simple good connection flight control board after the default Settings can be stable flight, if you want to fine adjust or want to have more application, it will bring you more surprise. 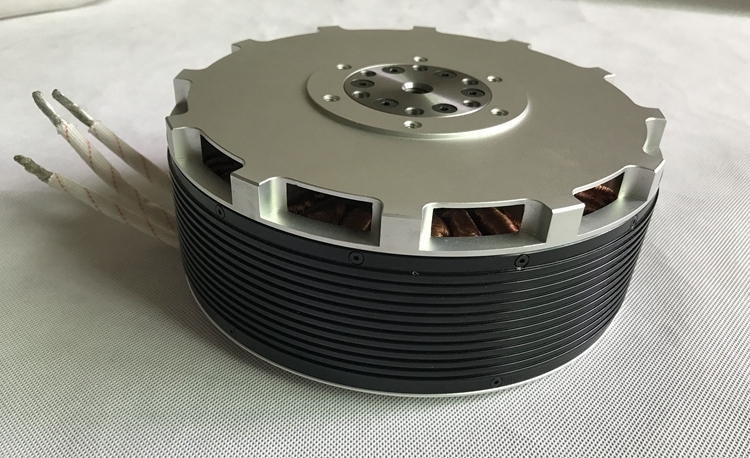 High precision digital 3 axis gyro is included in the flight control, digital 3 axis accelerometer, digital 3 axial magnetic sensors and precision barometer, compact structure, small volume, can achieve stability and balance function, can also be external expansion of the ultrasonic sensor, such as G P S implementation, targeted, high return, more functions such as automatic take-off and landing 8 channel remote control input, 1 0 / servo motor output, aerial support the haeundae automatic stabilization, output channel model will be defined by the user. 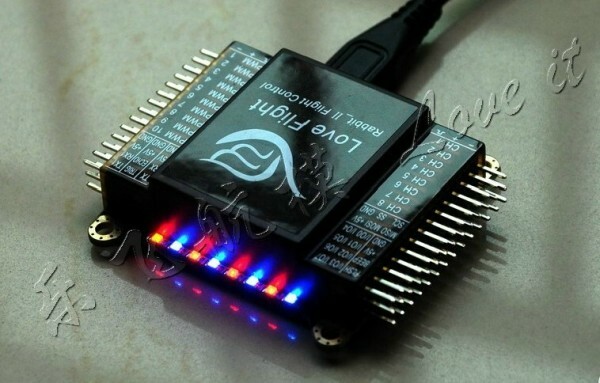 Bring U S B interface, need not add extension board can realize PC upgrade, parameter adjustment. Provide P C upgrade tool, at any time in accordance with the requirements of most customers, the improvement program and can be updated online. 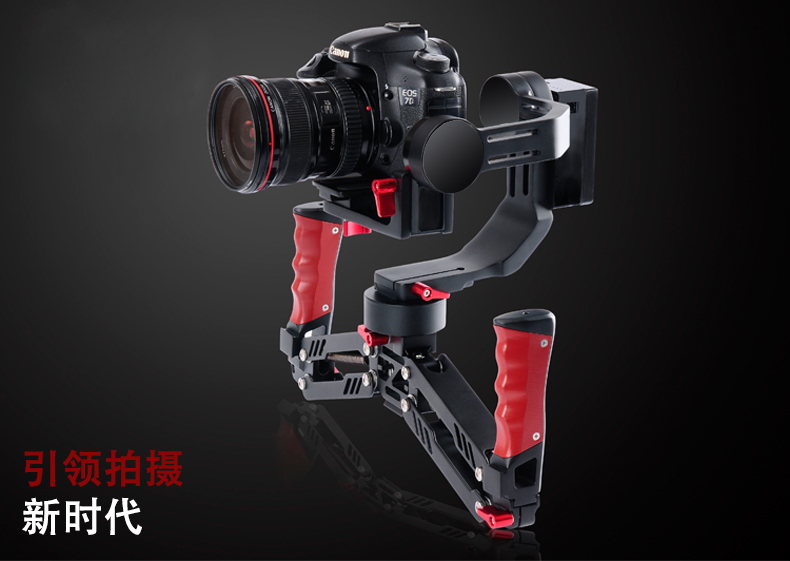 Function characteristics: 1, the main processor, A R M 3 two, dominant frequency 7 2 M H Z 2, 3 axis gyro onboard high precision digital, 3 axis accelerometer, 3 axis compass (magnetic sensor), high precision pressure meter, automatic stability, automatic balance and high automatic function. 3, 8 road receive channels, in addition to the main four rocker channel, you can also define auxiliary switch channels or yuntai control. 4, 1, 0 road six precision M P W output channel (maximum support 1 0 axis or 8 axle shaft yuntai + 2), you can define 5 ~ 5 0 0 0 H z H z analog/digital servo or non-standard electrical modulation signal 5, provides a serial port, ultrasonic, I, I, S P I C interface, convenient for users to expand G P S, bluetooth, W I F I, ground stations, O S D, digital peripherals, etc. 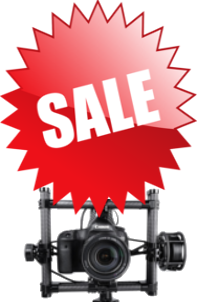 6, output control support (G M B A L, B I I I, Q, T, R U A D P, Q U A D X, Y, 4, 6, I N V Y, Y, H, E, H E X 6 X 6, X X 8, O C T O C T O O L A T P, O F A C T O F L T _ X, F L Y I N G W I N G, F I E D W I N D X) such as model, can also according to the requirements of customers to other mixed control mode. 7, take U S B interface, provide P C tools, convenient setting parameters, support network remote upgrade, download the latest application at any time. 8, 8 L E D indicates various states, convenient for setting parameters, achieve more minor adjustment, can also be extended color L E D lamp tape, realize the unique beauty of the night effect. 9, at most 4 S battery voltage independent real-time detection, ensure each ?